Fair warning: This review of mine may have spoilers. If you have yet to read either of the books, I'm going to highly recommend that you read this review with caution because I could very well mention things from the first book that are related to what happens in this second book. Either way, I merely wanted to give a heads-up. Claire Contreras made the wait worthwhile with the conclusion to her Second Chances duet. Picking up months after the events in the first book, Then There Was You, and then moving fast forward by several more months and then a couple more years in the next succeeding chapters, My Way Back to You finds erstwhile lovers Rowan Hawthorne and Tessa Monte moving on with their lives. He's still married to Camryn and it's a marriage that he's regretted from the moment he agreed to it, especially considering it cost him Tessa. She's still in Paris, only now she's got a son named Miles, a son almost everyone believes to be Cody Maverick's. But then, Tessa moves back to the US, and the clincher is that the company she works for's latest project is one in partnership with Rowan's company. Their feelings may not have changed, but secrets and betrayals still linger. When you're meant to be together, love can find a way, and that's exactly what happened with Rowan and Tessa. Fate and circumstance may have pulled them apart, but it's also what pushes them back together. Being able to hold on to what they have, though, means fighting for it--for their love and the possibility of bringing their family together. There were certain choices these two made that they may have believed was best during that particular point in time, but what mattered most was how they would deal with everything that happened from the time Rowan let Tessa go to the moment she came back into his life. As much as I loved that Rowan and Tessa got their happy ending, I would like to say that there was one particular peripheral character that had me curious from the beginning--Samson Hawthorne. Sam was a bit of scene-stealer but also such a sweetheart. Learn more about Claire Contreras. 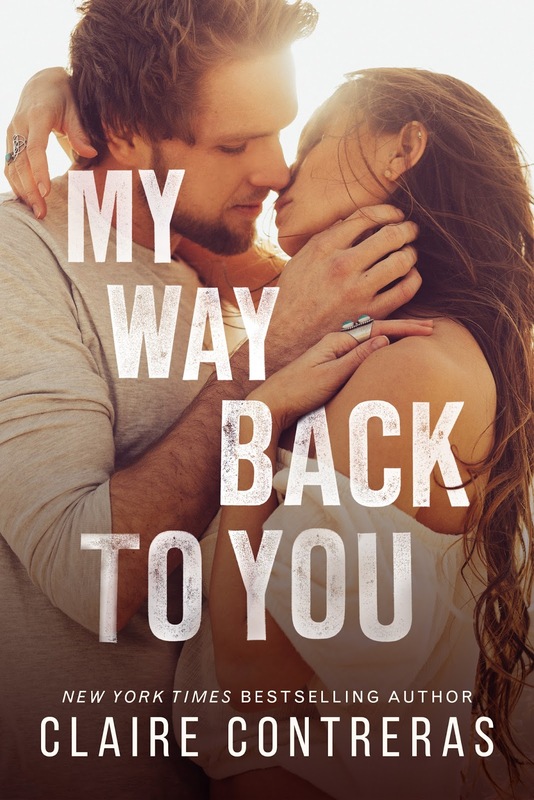 Purchase My Way Back to You on Amazon.